Each year, we remind our members that April is Fair Housing Month. To many, it may feel as though the struggles for Fair Housing are in our rearview mirror, but the disheartening reality is that housing discrimination is still very present throughout our nation. 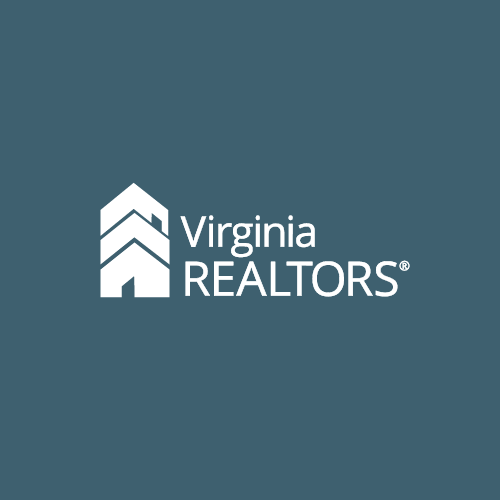 Virginia REALTORS® encourages its members to continue promoting the Fair Housing Act, helping to ensure industry practices are fair and equal to all. Often times, it is assumed that the FHA is relevant only to the process of attaining housing; however, the law doesn’t end upon the signing of a mortgage or rental lease. The National Association of REALTORS® has highlighted a recent court case regarding a rental tenant who was harassed by another tenant: Francis v. Kings Park Manor, Inc. The FHA requires landlords to protect their tenants from known discrimination. The law imposes a duty on landlords to prevent any tenant-on-tenant discrimination. NAR has provided the following summary for the Francis v. Kings Park Manor, Inc. case. We hope this case study will shed light on implementing the FHA in real-world scenarios. An African American individual (“Tenant”) leased an apartment in a multi-unit apartment complex (“Complex”) managed by a property management company (“Manager”). After moving onto the property, another resident (“Harasser”) began directing derogatory comments towards the Tenant, including profanity and racist comments. He also harassed the Tenant in the Complex’s parking lot. The Tenant called the police about the Harasser’s behavior. The police came to the Complex, interviewed witnesses, and warned the Harasser to stop his behavior. The police also told the Manager about the Harasser’s actions. The Manager did not take any action. Subsequently, the Tenant filed another complaint with the police about the Harasser and alerted the Manger directly about the alleged harassment. The Manager again did nothing. The Harasser continued his behavior, and the police arrested him for harassment. The Tenant again notified the Manager about the harassment, but nothing was done. The Tenant notified the Manager a third time, but nothing happened and the Harasser was allowed to remain at the Complex until his lease expired. The Harasser later pleaded guilty to harassment and a protective order was entered prohibiting him from contacting the Tenant. The Tenant filed a lawsuit against the Manager, alleging violations of the FHA, New York’s fair housing laws, and various other causes of action related to the emotional trauma resulting from the harassment. The trial court entered judgment in favor of the Manager on the FHA claims, and the Tenant appealed. The United States Court of Appeals for the Second Circuit reversed the trial court and ruled that the Manager could have a duty to intervene when it knows of tenant-on-tenant racial harassment. Since this was a novel claim, the court consulted with the U.S. Department of Housing and Urban Development (“HUD”) about its views on a landlord’s potential liability and HUD pointed to its rules, arguing that the court should recognize limited claims against landlords arising from tenant-on-tenant racial harassment. The court examined the FHA and found that the law supported imposing a duty on landlords to prevent tenant-on-tenant discrimination. First, the court determined that the FHA was not limited to preventing discrimination during the buying or leasing of property- instead, the FHA was intended to end all forms of discrimination that interfered with an individual’s enjoyment of their housing, not just those arising from the sale or lease of property. Next, court looked at whether the FHA imposed liability on a landlord for failing to prevent tenant-on-tenant discrimination when it is on notice that it is occurring. Only one other federal circuit had considered this issue, but HUD’s rules could impose liability on a housing provider when a third-party is creating a hostile environment for a resident that the housing provider is on notice about but fails to take prompt action. The court accepted HUD’s interpretation of the FHA in its rules and ruled that a housing provider could be liable for failing to prevent tenant-on-tenant discrimination when it is on notice that the discrimination is occurring. Therefore, the court reversed the trial court and sent the case back to the lower court for further proceedings on whether the Manager had an obligation to stop the tenant-on-tenant discrimination in the Complex.